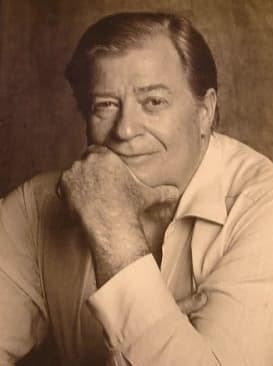 The author James Clavell was born Charles Edmund Dumaresq Clavell in Sydney, Australia in 1921. He was the son of Commander Richard Charles Clavell, a British Royal Navy officer who was serving in Australia from 1920 to 1922. Although born in Australia, Clavell was a British national but in 1963 became a naturalised citizen of the United States. He was a novelist, screenwriter, director and World War II prisoner of war. 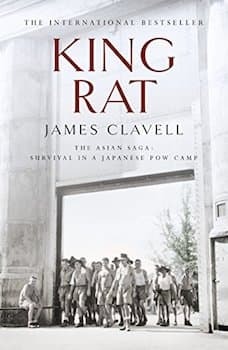 It was his wartime experience that led to him writing his first book, King Rat (1962). Like most of his later novels, it was semi-fictional and based on his experiences as a POW in Changi prison in Singapore. The main character, Peter Marlowe would make cameo appearances in two more novels, Noble House (1981) and Whirlwind (1986). While most famed as a novelist of the epic Asian saga series, Clavell also authored screenplays for films, including The Fly (1958), The Great Escape (1963), and wrote, produced and directed To Sir, with Love (1967). For me though, my introduction to James Clavell was Tai-Pan and the unforgettable character, Dirk Struan. Clavell’s genius was to interlace fact with fiction. Tai-Pan is set after the end of the first Opium War, won by the Britsh and its seizure of the island of Hong Kong. This allowed European and American traders access to the lucrative opium trade. The two main characters, Dirk Struan and Tyler Brock were former shipmates but became arch business enemies. As a backdrop to the relationship between Struan and Brock, Struan went to sea at the age of seven. He started service on the East India Company ship Vagrant Star, which was under the command of third mate, Tyler Brock. However, during his time at sea, Struan was continuously whipped. He vowed to one day take his revenge and made an oath to destroy Brock. When the Vagrant Star ran aground on a reef and sank in the Malacca Strait in 1812, most of the crew was lost to the sea, yet Struan managed to swim ashore and survive. But it was only years later that he learned that Brock had also survived. It is the business battle between Struan and Brock that forms the plot, but their companies have historical context. 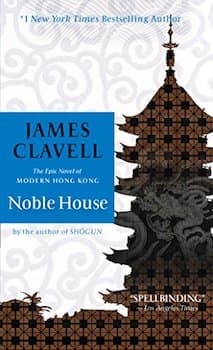 Noble House, Struan’s trading company, is based by Clavell on Jardine Matheson & Co., which was a major British trading company of the time with Dirk Struan’s character resembling William Jardine. The Brock family is a fictionalised version of the Dent family and the firm Dent & Co. Tyler Brock seems to represent Lancelot Dent. It is with this context that the story sets out after the British East India Company were determined to close down both Brock and Struan. The Company cancelled their licenses and the two faced financial ruin. Brock was left with his ship, Struan with nothing. My memory of Tai-Pan will always be of the teaching or taming of Struan, “the green-eyed devil”, by May-May. She was assigned the task by her grandfather, Jin-Qua, whose full name was Chen-tse Jin Arn, to teach Struan civilised, or presumably, Chinese ways. May-May (T’Chung Jin May-may) became Struan’s mistress. But to add extra complication to the story, Jin-Qua’s first daughter Kai-Sung, was also one of Struan mistresses, and between them, they had a son, Gordon Chen. It was an important birth. Because later, when Struan again faced turbulent days and financial ruin, he turned to Jin-Qua for help. Part of the deal, on top of a loan of silver bullion, was that the Chen family would forever be compradore of Noble House, with the first being Gordon Chen. On top of that, four bronze coins were broken in half, with Dirk Struan given all halves of each coin. It was agreed that whenever anyone presented the Tai-Pan with their half of one of the coins, the Tai-Pan would be obliged to grant that person one request, either legal or illegal. In addition, the obligation would be handed down to all successive Tai-Pans, who could only become Tai-Pan by swearing to uphold the agreements. Of the four coins, one was kept by Jin-Qua, one given to the warlord Wu Fang Choi, one given to Gordon Chen, and one given out in secret. In later stories, Noble House and Gai-Jin, it is the compradores who follow Gordon Chen and of course the coins that are at the heart of each plot. A challenge for each new Tai-Pan of the Noble House. 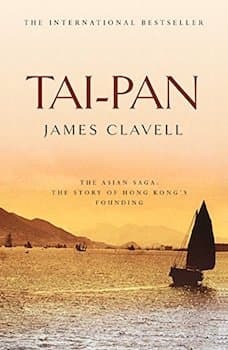 Tai-Pan was Clavell’s second novel after King Rat. With the proceeds from the movie sale for King Rat, it gave him the money he required to write Tai Pan. Clavell said that after five failed starts, it took him 241 days to write the first draft, and then 12 weeks to write the second. He had initially planned that the novel would span the time from the establishment of Hong Kong in nineteenth-century Asia up until the present day. But when writing it, he decided to end the novel upon the death of the first Tai-Pan. His decision led to him writing Noble House and Gai-Jin to complete the trilogy. In 1986, Whirlwind was published, and it became the fourth and last part of The Asian Saga and is chronologically the final book in the series. The book is set in Iran in 1979, at the time the rise of the supreme leader, Ayatollah Khomeini. It tells the story of a group of helicopter pilots who work for Struans, which is a company offshoot of Nobel House. 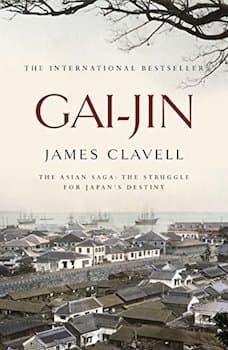 As with all of Clavell’s Asian novels, it is very long and interwoven with many plot threads involving a long list of characters. It makes for challenging but absorbing reading. Jardine Matheson Holdings Limited (also known as Jardines) is now controlled by the Keswick family, who are direct descendants of William Jardine’s sister Jean through the marriage of her daughter to Thomas Keswick, father of William Keswick, an early Tai-pan of the firm. The extraordinary story of adaptability and resilience of the Jardines conglomerate, founded in 1832 by Scotsmen William Jardine and James Matheson, is one of a kind. Jardine Matheson & Co. was one of the original Hong Kong trading houses or Hongs that date back to Imperial China. As well as smuggling opium into China, it traded sugar and spices from the Philippines and exported Chinese tea and silk to England. Today, the group remains under the thumb of the dynasty that descends from William Keswick. Its focus has shifted from opium to a wide range of sectors from property, retailing, and luxury hotels to motor vehicles, engineering and construction, transport and insurance broking, with extensive operations across Greater China and Southeast Asia, and in some cases the world. There are a number of landmarks that record Jardine’s role in the history of Hong Kong. First, of course, there is Jardine House (originally called Connaught Centre), located at 1 Connaught Place. It is the fourth Jardine House to be built in Hong Kong. The previous three have all been demolished. When it was built in 1973, Jardine House was the tallest building in Hong Kong and Asia. The most remarkable features of the building are its round windows, which earned the building the nickname of “The House of Thousand Arseholes”. If you ever stayed in a Mandarin Oriental Hotel, did you know that the famous chain is part of the Jardines conglomerate? The first Mandarin Hotel opened in Hong Kong in 1963 and was the city’s first five-star hotel. Built on the former site of the colonial Queen’s Building on the waterfront in Central Hong Kong, it spared no luxury. The interior was entrusted to Don Ashton, a Hollywood Art Director most noted for his work on such films as Billy Budd (1962), The Bridge on the River Kwai (1957), Oh! What a Lovely War (1969) and Young Winston (1972). The hotel was the first in Hong Kong to have direct-dial phones and the first in Asia to include a bath in every guestroom. Totally renovated in 2005-2006, the lobby, Captain’s Bar, Clipper Lounge, and Chinnery Bar remain recognisable, but the other restaurants, bars, public spaces, and rooms are entirely new. Another well-known location associated with the firm is a hilltop known as “Jardine’s Lookout”. It was from here that a watch was kept for the first glimpse of the sails of the firm’s clippers coming from India and London. As soon as a vessel was signalled, a fast whaleboat was sent out to collect Jardines’ mail. The correspondence was rushed back to the office so that the directors could have the first possible information on the world’s markets. Today, it is worth the climb as it offers incredible views across the south of Hong Kong Island towards Repulse Bay, Ocean Park and even Lamma Island in the distance. The Noonday Gun, located opposite the Excelsior Hotel, dates to the 1860s and a time when Jardine’s private militia would fire a salvo to salute the arrival of the firm’s Tai-pan in the harbour. This upset the British Navy who insisted that such salutes were reserved for more important people than the head of a trading house. As a penalty Jardines were ordered to fire the gun every day at noon in perpetuity. Made famous in the Noel Coward song Mad Dogs and Englishmen, it is still fired off by a Jardine employee at noon every day. Finally, Jardine’s Bazaar, named after William Jardine, when Jardine Matheson acquired land in the area, is one of the oldest shopping areas in Hong Kong dating back at least to 1845. This little street in Causeway Bay is good for bargain and street food. Clavell wrote about history, but he leaves a long history of his own. In some ways, he is his own story, with such a long list of achievements. Apart from long, epic historical novels, he also wrote two children’s stories. The Children’s Story (1964) was a Readers Digest short story and adapted as a movie in 1981. Thrump-O-Moto (1986), was another and it was illustrated by George Sharp. As an America citizen, he became more political and said he was an ardent individualist and proponent of laissez-faire capitalism, as most of his books’ protagonists embodied. He was an admirer of Ayn Rand, and he sent her a copy of his book Noble House in 1981. Clavell died in Vevey, Switzerland, after suffering a stroke. He died a month short of his 73rd birthday. My memories of James Clavell sit proudly on my bookshelf in hardcover editions of all of his books, from King Rat to Escape. Images in this article are courtesy of Pixabay and Wikipedia.